Pinterest is one of the most popular social media sites among small and medium size businesses, because it generates more sales, traffic and customers to businesses than other sites. So shouldn't your brand be using it to the max? Simply having a Pinterest profile with your big brand logo is not enough, setting up a proper business page is a necessity for rapid growth, which can help brands to influence their online marketing efforts. This infographic shows ten strategic ways to optimize your newly created Pinterest business page. Use a well-lit and professional head-shot of yourself. Though a brand logo will also work but even for a business, a photo of the founder, especially if they're the face and name of the company can be more powerful - Remember people buy from people! The about section allows you 200 characters to tell people succinctly and clearly who you are, what you do and what products or services you offer. Use your best SEO keywords, avoid being flippant and whatever your work, whatever your industry, don't leave it blank! As Pinterest grows, local search will become more relevant. Get in early by adding your city or state to your About section so people can find you. Attract local customers by creating a board about your city or region highlighting local sights or famous landmarks in addition to one's relating to your business. Prior to verification, website URL were hidden behind a globe on your Pinterest home page that could easily be missed by visitors. Verification makes your website URL more visible by placing a bold grey check mark next to it and forming a click-able link. This increases engagement, drives more traffic to your site and boost your SEO. Social media is all about engaging with other, so make sure you take time out to like, repin other's pin, follow and especially comment on other people's content. 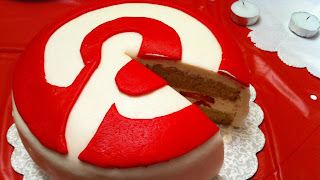 Pinterest is a social network and interacting with others will help you to gain more relationships and followers. The key to using Pinterest is to become part of the community and give more than you get. Lots of focused boards (at least 24) help you create a lifestyle around your brand, Make each board idea-specific, use an attractive title that clearly indicates what it's about, add your top keywords in the description area for better search engine ranking and be sure to pin enough content to make it look complete. Heat maps reveal that the top 2 rows are where visitors focus when they land on your Pinterest page. Make it worth their while by placing your top, most viewed and relevant content in this precious Pinterest apartment. Give preference to trending topics throughout the year by moving boards around and don't forget to make your most eye-catching pin to board cover. A great way to increase your followers is to create boards on non-industry topics such as Health, Quotes, Food, Interior design, Travel, all of these are popular topics on Pinterest. By doing so you can get the targeted pinners who would not normally have found you and will show your visitors an insight into the broader side of your businesses and personality. Don't just pin your own content. Ardent seal-promotion is a no-no on Pinterest. If you really want to win friends and influence people, share and curate other people's content alongside your own, so that your boards become a destination for your followers. Pin a variety of content in different forms. Use high quality, visually-appealing, colorful images but also include charts and graphs, videos from YouTube and Vimeo, infographics, tutorial pins, images with text overlays and don't forget SlideShare presentations. It is important to keep in mind that social media marketing is an ongoing learning experience. No one starts off knowing everything they need to know to be successful. The best way to learn is to stay active, stay engaged, and stay committed to growing your presence and building relationships on your social networks. Let me know in the comments what are your best strategies on Pinterest?